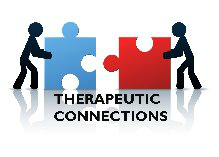 What are Therapeutic Behavioral Services? Therapeutic Behavioral Services (TBS) provide help for children who have mental illness or developmental disabilities and maladaptive behaviors. Maladaptive behavior means behavior that is harmful to oneself or others, developmentally inappropriate, and disruptive or dangerous. The service is provided at home and in the community, and includes an initial assessment, the development of a behavior plan, and an ongoing individual one-to-one aide. These services are designed to support children who are at risk for a higher level of care without the intervention. TBS can help to prevent the need for an out-of-home placement when a child’s behaviors are too difficult for his or her caregivers to manage alone. A TBS aide can help by supporting the child in his family home, foster home, at school, or at day care as well as in the community. TBS can also assist a child during a transition home from an out-of-home placement.